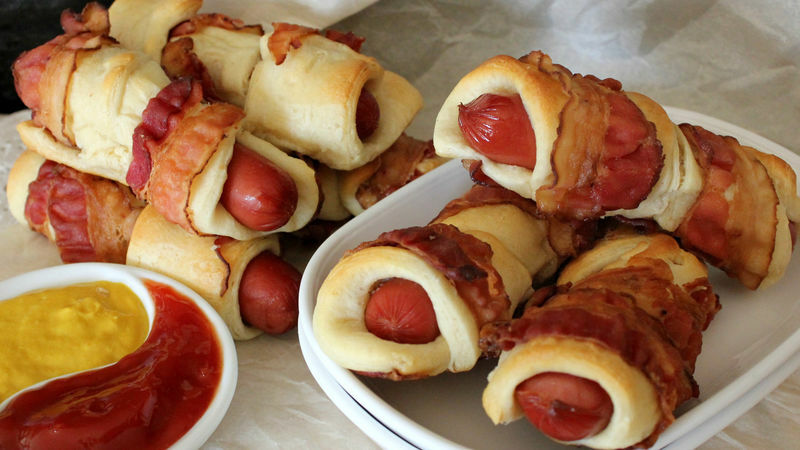 To make each crescent dog, twist 1 bacon slice around 1 strip of dough. Wrap twisted bacon and dough evenly around each hot dog. Place on ungreased cookie sheet. Bake about 12 minutes or until puffed and light golden brown. Serve warm with ketchup, mustard and any of your favorite toppings or dips. Serve your dogs with Sriracha sauce instead of ketchup for a spicy kick.